'People were not expecting this' Jump to media player The BBC's Aleem Maqbool reports from Tahrir Square where huge protests against the Egyptian president are taking place. Egypt protesters send message to Morsi Jump to media player Crowds are gathering in Cairo's Tahrir Square ahead of a mass rally to demand the resignation of Egypt's Islamist President Mohammed Morsi. Inside Egypt's Tahrir Square demo Jump to media player The BBC's Aleem Maqbool reports from inside Tahrir Square, the focus of the protests which brought ex-leader Hosni Mubarak. 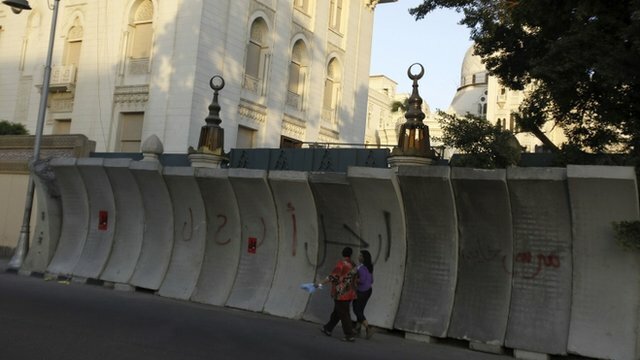 Egyptians stockpile amid deadly clashes Jump to media player The United States is warning against all travel to Egypt after an American was killed during violent clashes. 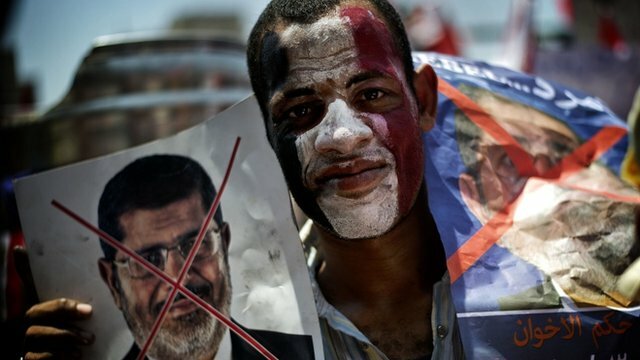 Huge protests calling for the resignation of Egypt's President Mohammed Morsi and early presidential elections are taking place in the capital, Cairo, and other cities. 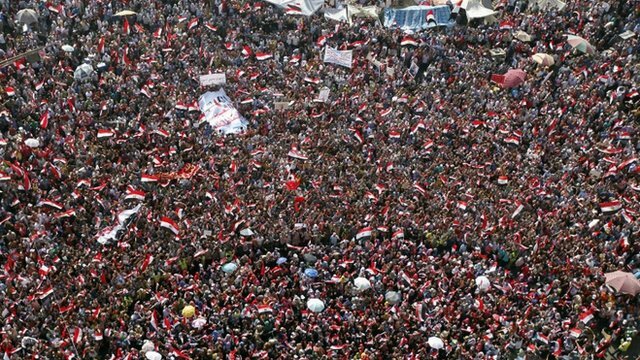 Tens of thousands of opponents have massed in Tahrir Square and outside the main presidential palace. Protesters accuse Mr Morsi of failing to tackle economic and security problems since taking power a year ago. 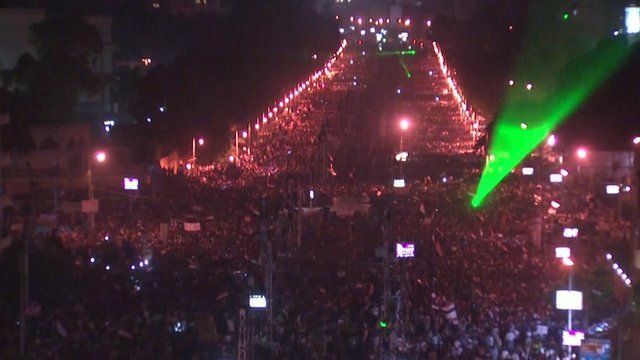 The BBC's Aleem Maqbool in Tahrir Square says the size of the protest has been wholly unexpected.